With years of experience in producing bass amplifiers, Meters Cubed offers three 90mm cubes - a micro-amplifier and two high-performance 2.5"speakers with 10 watts per channel. Meters Cubed is a micro-audio system like no other and captivates Ashdown Engineering's signature VU meter, which is normally reserved for reading the input levels of bass guitar amps, gives you a brilliant view of the status of the playback volume at a glance - so you can not only hear, but see! 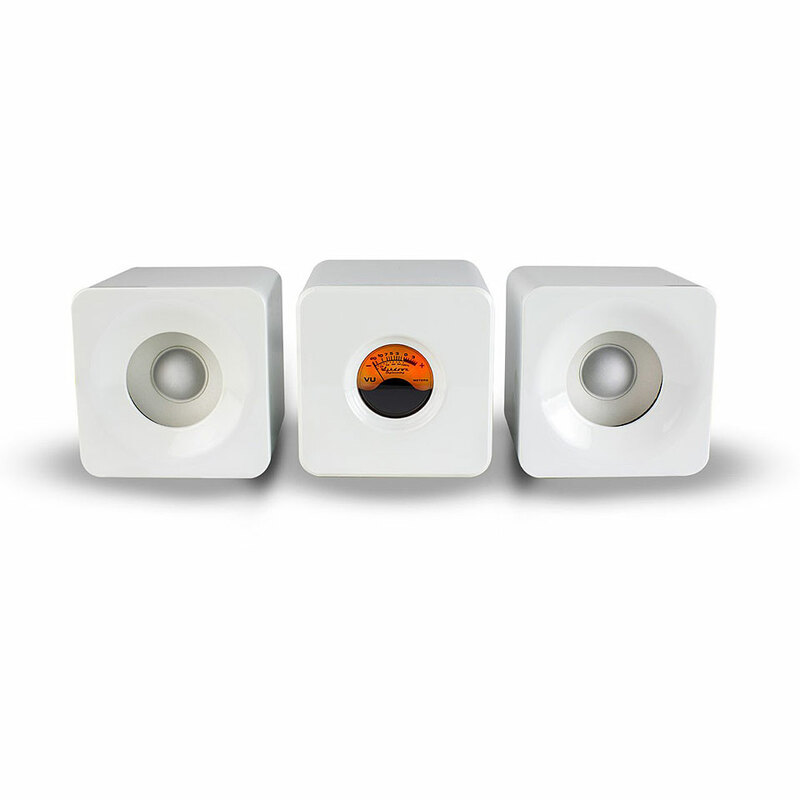 Your music has never sounded so good! 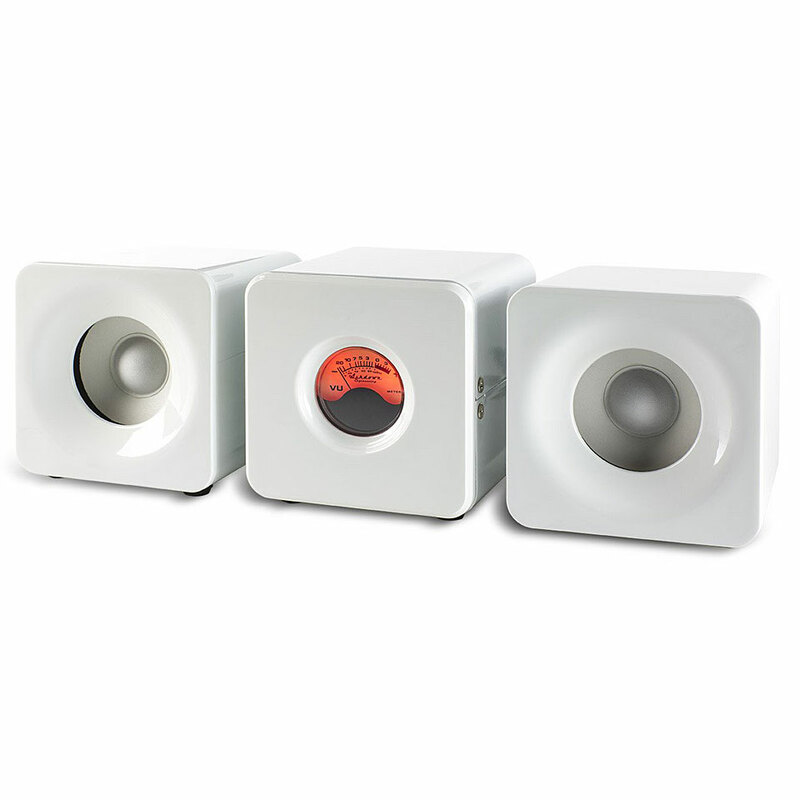 Bluetooth® 4.0 technology allows wireless streaming from your smartphone, tablet, laptop, PC or Mac with enhanced audio quality. 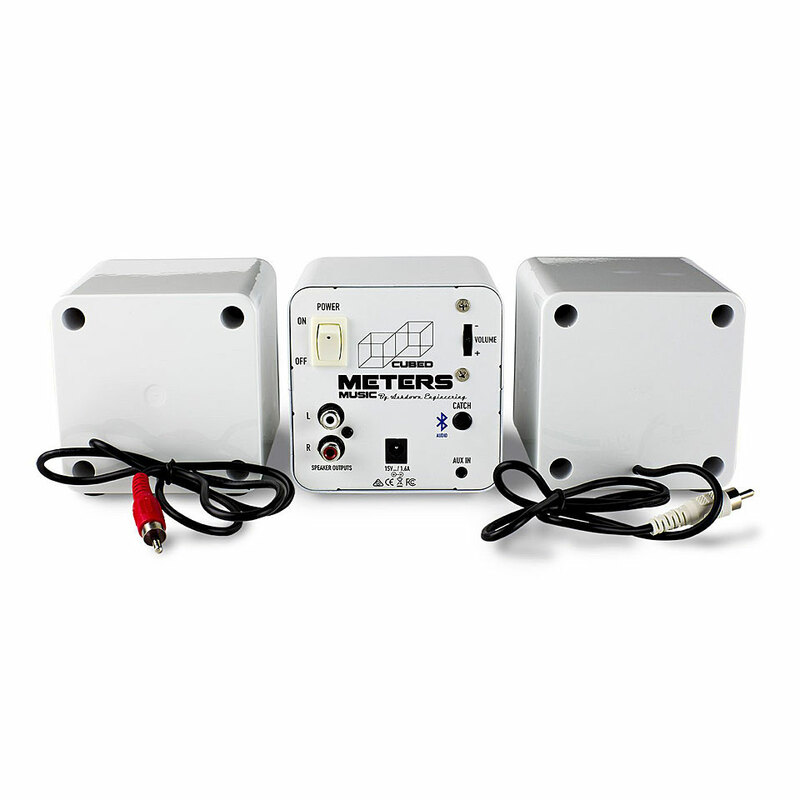 Meters Cubed also has a traditional analogue 3.5mm Aux input for use with non-Bluetooth® devices. · Show all articles of the brand Meters.